Voyage to the bottom of the Sea TV emblem set. 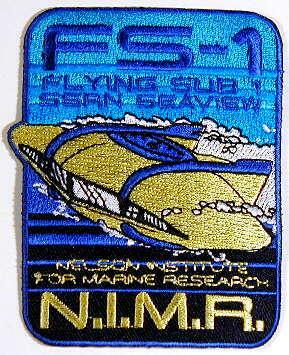 Flying Sub Patch measures 4 x 3 inches. 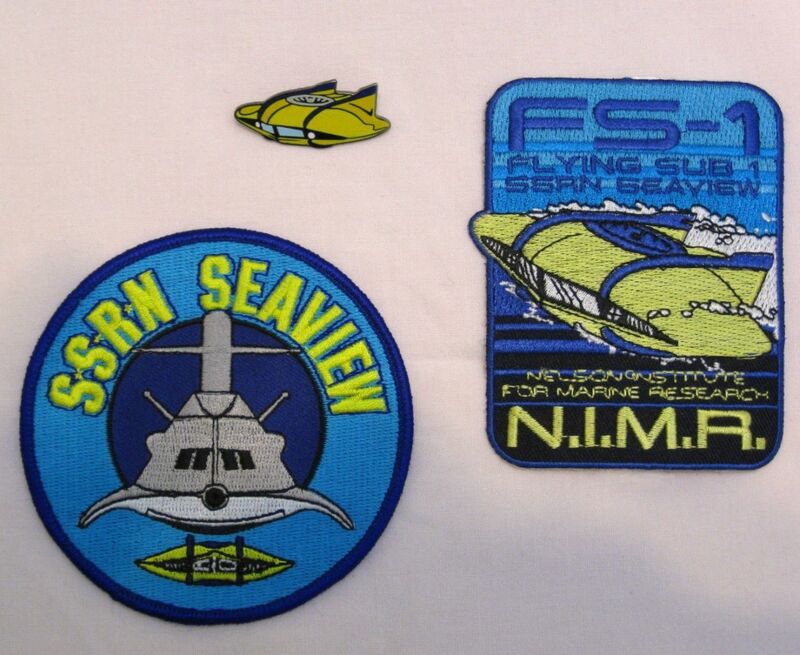 "Voyage" SSRN Seaview Patch measures 3.5 inches across. 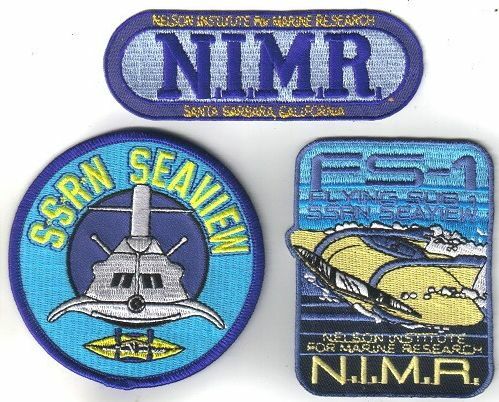 High quality embroidered with iron on backing.